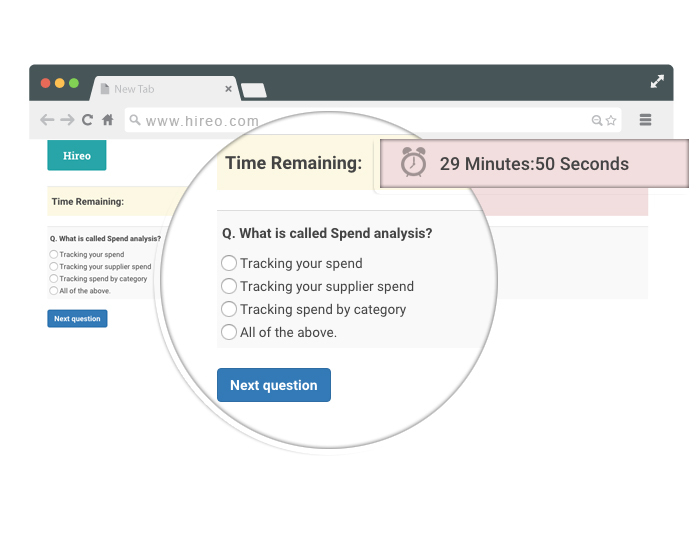 How Can Hireo Help You? 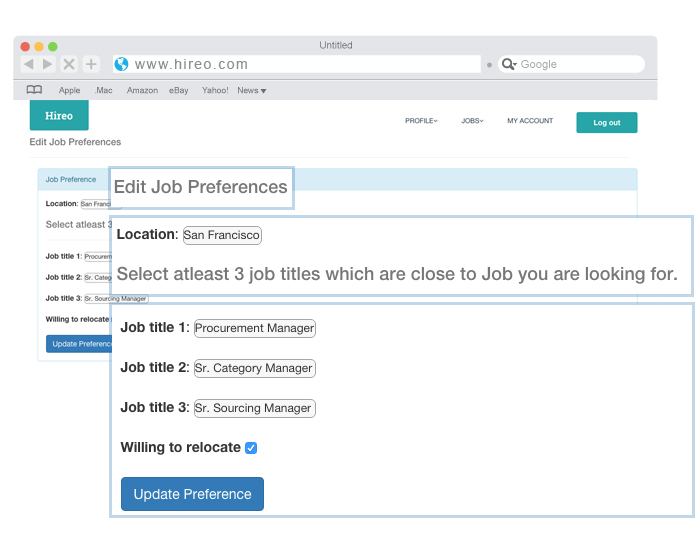 Hireo can help you with finding the right career opportunities, which matches your core competencies. Stand out from the crowd and get noticed.Get started now! Start by creating your profile, tell us about your skill sets, your achievements and your goals. We made it simple, import your existing profile from LinkedIn or create a new profile. Want to standout? create a portfolio. 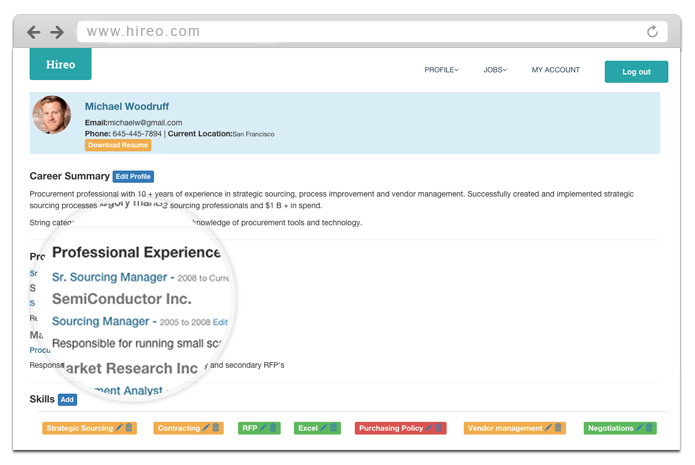 Hireo makes it really easy to showcase your expertise via an online career portfolio. Tell us more about your job preferences so that we can match you with right procurement jobs. Tell us more about what kind of job you are looking for, what kind of category expertise do you possess. Our domain experts have created a small assessment quiz, that helps us to get an understanding of your strong skills and skills which needs improvisation. Sit back and relax now, we will do the hard work for you. 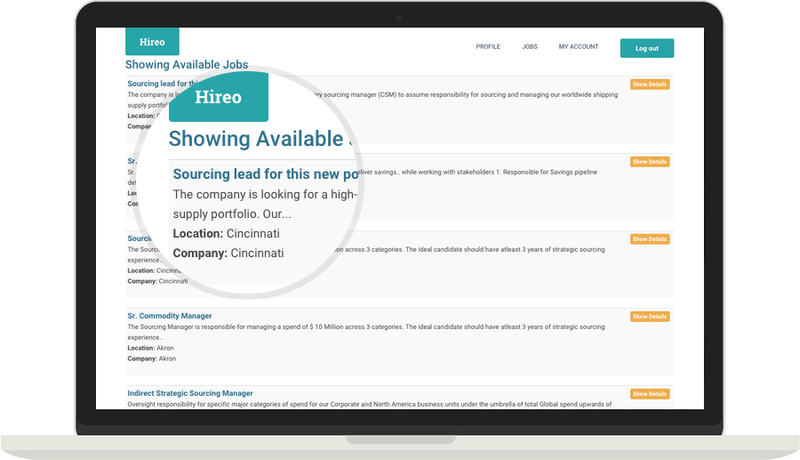 Based on your skill sets, assessment results and job preferences, we will find the right procurement job for you, and connect you directly with the hiring manager.